AdSitalSolution is a new survey and get-paid-to site. 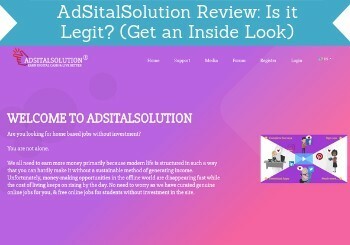 So is AdSitalSolution a scam or legit? I have tested the site myself, and in this AdSitalSolution review you will get all the details. I will go over what it offers, who it is for, if it is worth it and more, so you will easily be able to see, if it is a site for you or not. What is AdSitalSolution and what does the site offer? AdSitalSolution is a fairly new survey and get-paid-to site (GPT), as was launched in the summer of 2018. According to a press release at Reuters, the idea behind starting this site was to give everybody the opportunity to earn digital cash. The company strives to offer simple tasks, which you can perform from home, and the idea is to make it possible for anyone with an internet connection to be able to earn some extra money online. I think the idea behind is great, and I have also been in contact with the owner to ask some questions, and he seems like he is a genuine guy trying to do something good with the site. So I have joined AdSitalSolution myself to see what it then actually offers, and if it is worth it. Below, I will go over what it offers. AdSitalSolution offers several paid surveys. If you have followed PaidFromSurveys.com, you know that I like when GPT sites includes this as an earning option, as it is a great way to make some extra money and have your opinion heard at the same time. How many paid survey opportunities you will find on AdSitalSolution does however depend a lot on the country you live in. At first, it might not seem obvious where you find the survey option, as there is no survey tab in the menu. So let me just explain where you need to go, if you join and want to do the paid surveys. In the menu, you have to go to the “earn” section, and here choose offer walls. You find the surveys in the offer walls section. You will then see several offer walls. They do not only have paid surveys, but you can find the surveys here as well. Some of the walls themselves have a survey tab, so you can filter and get easy access to the surveys. The surveys pay average for the time spent compared to similar sites. Because AdSitalSolution offers surveys through these offer walls and third party providers, it means that there usually are a good amount and often several per day. Be aware when you take surveys through offer walls like this, it can sometimes take a bit of patience to find the surveys you qualify for. 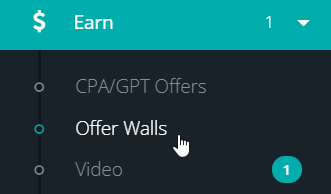 On some of the offer walls (access them as described above) you also have the option to earn by clicking ads – also called PTC (paid-to-click). 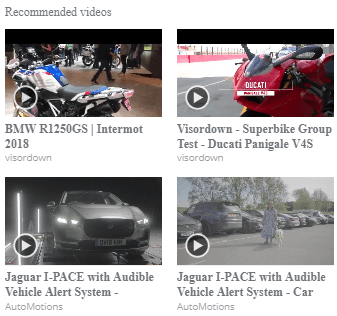 You will find several options here, and before clicking the ads, you can see how long you how to watch them to get credited, and how much you will earn. You can get paid to click ads. It is a very easy way to earn, BUT it is also one of the earning methods that pays the least. You have to click a lot of ads to make enough money for a payout. Personally, I do rarely use the PTC option on sites like this, as I prefer spending my time on other earning options. But it can be a way to earn a little extra, and the great thing about it is that it is open to everyone, and you do not need to qualify to earn on them. Just be aware that what the ads promote are not also great opportunities. You will often see ads promising you all kinds of earning opportunities that are not as great as they sound. So be careful about believing everything these ads says, and focus on the earning aspect of it, if you decide to use this option. 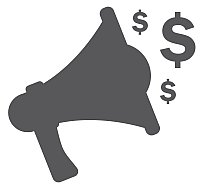 I have already mentioned the offer walls on AdSitalSolution several times, as it is here you find most of the earning options. The offer walls do however also have other offers than surveys and PTC. This can for example be to download games and play them, to sign up for free trials, and more. You should however make sure to always read the conditions before taking any of these offers, so you know exactly what you are getting into, and what you have to do to get credited. I have seen a lot of great offers on AdSitalSolution, and sometimes you can really boost your earnings by using them. But I also saw some offers that are definitely not worth it, and that can end up costing you money instead. So read the conditions carefully, if you use some of the offers. AdSitalSolution has a section, where you can get paid to watch videos. Examples of videos you can get paid to watch. There is quite a lot of options here. The issue here is at the moment that you cannot see how much you will get for watching the videos. I tried to watch one but did not get any credit, so it could look like the videos you find in the video section itself is more for entertainment purposes. But you can also find videos on the offers walls. Here you can see what you will earn, and will get credited. Watching videos like this will however not give you huge earnings. This is not just on AdSitalSolution this is the case, but on more or less all GPT sites that offer videos as an earning method. Therefore, I usually advise only to watch the videos, if you are interested in watching them anyway. If you do it just to earn, it will in most cases be a waste of time. If you like AdSitalSolution, you can send an invitation link to your friends. If they join through your link, you will earn 10% of what they are earning. This will not take earnings from your friends, but is a commission paid by AdSitalSolution to thank you for inviting someone else to the platform. It can be a nice way to make a bit extra, but for it to really count, you need to invite a lot of friends that are very active on the platform. AdSitalSolution has an entertainment category. Here you can find a lot of different online games. This is not a way to earn, but only for entertainment. If you like playing small online games, you can find a good selection here, but it will not make you any money. 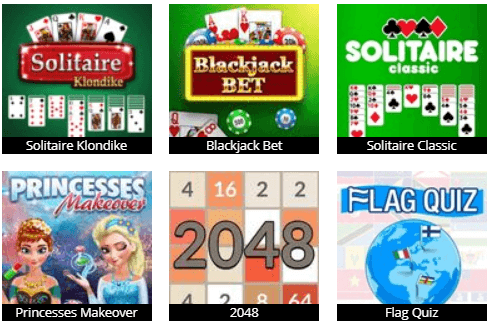 You can find a lot of games on AdSitalSolution – it is however not a way to earn. In addition to this, AdSitalSolution also has a forum, where you can communicate with other members about various topics, and also get answers for questions about AdSitalSolution. At the moment of writing this review, there is not a lot of activity going on there. The site is however very new as mentioned earlier, so maybe it will become more active eventually. As you can see, AdSitalSolution has several ways to earn, but how can you then get paid after earning? When you take a survey, click and ad, take an offer etc. you will get paid in cents/dollars. So it is easy to see, exactly how much money you have in your account. There are a couple of ways you can get paid, depending on the country you live in. If you live in India, you will get paid directly to your bank account via NEFT & Paytm. In all other countries, you will get paid through PayPal. The payout threshold is $5 (+ PayPal fee), which is fairly low, so it does not take too long to be able to make enough for a payout, which is great. Be aware that AdSitalSolution only processes payments once per month. So you need to request a payout before the 2nd of the month, and then the payment will be processed on the 5th. This means you potentially can end up having to wait quite a while for your payment, if you do not time it right. So just make sure to do this, if you decide to join AdSitalSolution. The goal of AdSitalSolution is, as I mentioned earlier, to make it possible for everyone to make money online. And you can make some extra money on this site. But whether it will be for you or not depends on your expectations. It will NOT be a way to become rich or make a full-time income. Survey and GPT sites in general are not a way to achieve this. They can be a great way to make some extra cash, but you need to do it with the right expectations. AdSitalSolution is still a new site, so it is difficult to yet say what the potential of the site is. It can take some patience, but you can definitely make some extra cash there. Currently it does however not offer as many opportunities as the top paying survey sites. I will however be keeping an eye on it and see how it develops. An important thing to be aware of is that your account will be closed, if you have not logged in for 60 days. If this happens, you will lose all the earnings in your account. I think 60 days is a fairly short period to allow inactivity, as we sometimes just have periods with other things taking up our time. But you just need to be aware of this and make sure to continuously login, if you want to keep using AdSitalSolution. Using a GPT site on mobile can be a great way to earn no matter where you are. Therefore, I prefer when a site is mobile optimized or has an app that makes it easy to use on mobile devices. AdSitalSolution’s website is in a way optimized for mobile – just not fully. The problem I had was when I logged in from my mobile, ads popped up on my screen. I do not as such have a problem with this, as I understand the site needs to make a living. The problem was that I could not close the ad, and I could not see the content on the site. I had to refresh my browser a couple of time before being able to then get rid of the ads and see the members area. Once you get to the members area, it works very nicely on mobile and gives you a good overview. However, some of the offer walls themselves are not really mobile optimized, so it is difficult to use them on mobile. So overall, it is possible to use AdSitalSolution on mobile, but the user-experience is not very good, and it takes a bit of patience. Again, this might be a part of starting issues and will improve over time – we will see! You can join AdSitalSolution no matter where you live. Originally it was created to give all people living in India the chance to earn digital cash, and I think this is great (I have a soft spot for India, as I lived there few years myself). Therefore, it is also offering the most opportunities for people living in India. You will however be able to join no matter where you live, as long as you are at least 18 years old. I would however suggest you to check out the best survey and GPT sites in your country, before joining to make sure it is a good option for you. In most countries there will be sites with more and better opportunities. But especially if you live in India, AdSitalSolution can be worth considering. If you should need support, AdSitalSolution offers several ways. It has a forum, where you can ask questions, or see if your question has already been answered. It also has a section with some video tutorials that will show you how to use the site. Finally, you can also contact support through a form on the website or on Facebook. I have written a few times, and received quick reply from the owner. This is something I appreciate, and it is nice to know that you can get quick support, if you should need it. AdSitalSolution has both positive and not so positive sides. So let’s finish by summing up the pros and cons, so you can get a good overview before deciding, if it is a site for you or not. 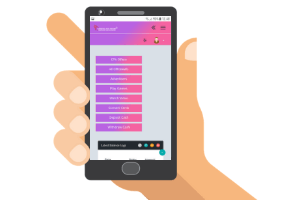 Overall, I think the idea behind AdSitalSolution is great, and think it os great it was created to try to give people in India more opportunities to earn. It definitely gives opportunities, and I think it can be worth joining AdSitalSolution, if you live in India. However, in its current form there are some usability issues, and it can take some patience to find the good earning opportunities there. Therefore, if you live in other countries, you should make sure to check out the top sites in your country. AdSitalSolution can be fine to join as an extra site, but if you want to earn as much as possible on GPT and survey sites, this should not be the only site you are a member of. If you have any comments, questions, or have any experiences with AdSitalSolution yourself, I would love to hear from you in a comment below. AdSitalSolution is a way to make some extra money and offers several ways to earn. It can however take a bit of patience to earn on the site, and the usability on mobile is very poor. Especially if you live in India it can be worth considering, but in general it is a good idea to join other sites as well, as AdSitalSolution alone will not give you huge earning opportunities. withdraw $5 is a good and low reaching the minimum is easy but their dollar to inr ratio is not good other sites are giving $1=67INR as per my review this site is not a good one to earn money. Thanks for sharing your opinion about AdSitalSolution. As you can see from my review, I agree that it is not the best site to earn and it has limited opportunities. However, it is a legit site and it is possible to earn on it. But thanks for sharing your experience about it as well.